Do you sleep on your stomach? Are you looking for a pillow that will provide you with a comfortable sleep experience, night after night? You could be sleeping on the wrong pillow, which can cause neck pain and sleepless nights. We've rounded up the top 7 pillows for stomach sleepers, so you can rest easy with a pillow specifically designed for your needs. 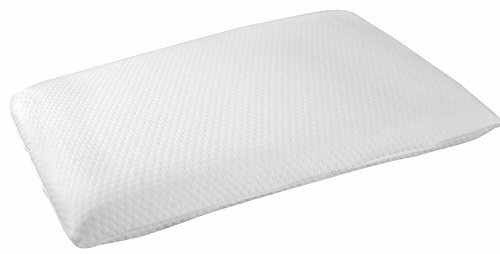 Our top pick is the Elite Rest Ultra Slim Sleeper Memory Foam Pillow, which has a 2.5-inch profile and should feel comfortable for stomach sleepers. Our runner-up pick is the Coop Home Goods Shredded Memory Foam Pillow, which allows you to add or remove filling for custom firmness. Stomach sleeping is less common than back or side sleeping. Although it’s not the healthiest way to sleep, many people find it comfortable and prefer to sleep on their stomach. In order to ensure optimal physical health, it’s important to select the right mattress and pillows for stomach sleeping. In this guide, we’ll thoroughly explore the top seven best pillows for stomach sleepers. Wading through all the information available online about pillows can be a daunting task. We’ve made your job easier by collecting the top 7 pillow options for people who prefer sleeping on their stomach. If your top concern is choosing a hypoallergenic pillow for stomach sleeping, the Xtreme Comforts Slim Pillow might be a good choice. 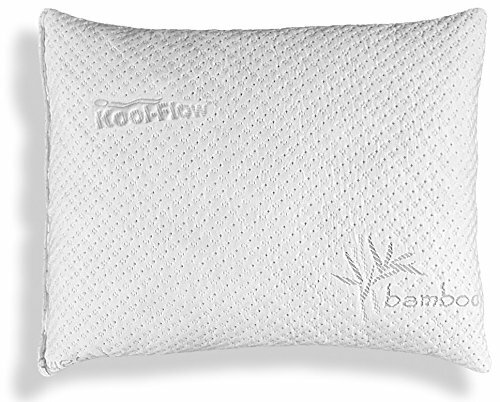 This shredded memory foam pillow comes with a bamboo cover and is dust mite-resistant. The pillow comes vacuum sealed and can be machine washed. Durable and supportive, this product comes with a money back guarantee. If you aren’t satisfied with the Xtreme Comforts Slim Pillow for whatever reason, you can return it and get your money back within 30 days of your purchase. It also comes with a six-year product warranty. 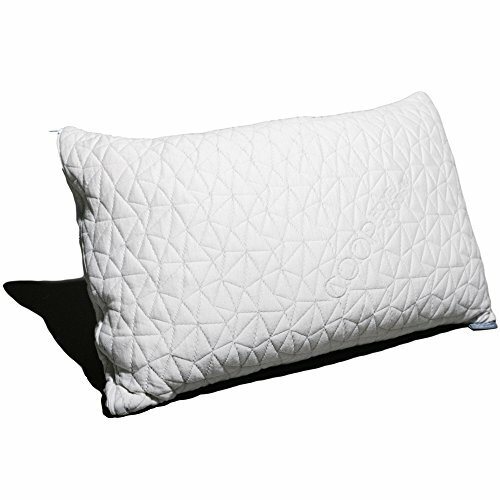 The Coop Home Goods Shredded Memory Foam Pillow is full of hypoallergenic memory foam pieces. Shredded foam is more malleable than solid foam and has a plush, conforming feel. If you need the pillow to be firmer or softer, you can add or remove filling until it’s the perfect consistency. The Coop Home Goods Adjustable Pillow can be thrown in the washing machine and is ventilated to regulate sleep temperature. This pillow has a 100-night return policy and a five-year warranty that guarantees it won’t go flat within that time frame. The Slim Sleeper Pillow is a low profile pillow with a cotton cover that works for all sleep positions but feels especially comfortable for stomach sleepers. The 3-inch profile keeps your head in a neutral position in relation to your body while you’re on your stomach and conforms to your neck and head, reducing pressure points. The Slim Sleeper Pillow is made from dust mite-resistant, hypoallergenic memory foam. You can return your pillow new and unopened through Amazon and get a refund as long as you do so within 30 days. For people who prefer a firm pillow, the Bluewave Bedding Super Slim Memory Foam Pillow may provide the best option for stomach sleeping. It has a breathable cover made with bamboo-derived rayon and polyester and feels comfortable in all sleep positions. This pillow is ventilated and made with gel to keep hot sleepers comfortable and cool throughout the night. 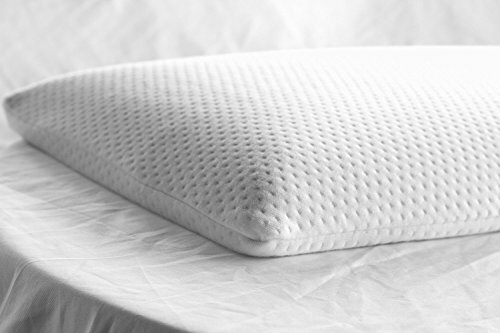 The Bluewave Bedding Super Slim Memory Foam Pillow is hypoallergenic and has a sturdy, firm feel. It comes with a three-year warranty but you have to register the product and provide your Amazon order ID to [email protected] to qualify. The Elite Rest Ultra Slim Sleeper Memory Foam Pillow is another viable option for stomach sleepers. It has a super low profile (only 2.5 inches) and a soft memory foam design. Note that your head will barely be lifted off your mattress with this pillow. The Elite Rest Ultra Slim Pillow is flat on one side and curved on the other, so you can choose which side feels more comfortable to you. It has an antimicrobial, bed bug-resistant design, so you can rest with peace of mind, even if you’re prone to allergies. Elite Rest states that if this isn’t the thinnest pillow you’ve ever used, you can return it for a full refund. The eLuxurySupply Extra Soft Pillow is a down-filled product with a super low-profile design. It has a strong, durable construction and allows your head to sink down to a comfortable position while you’re on your stomach. It has a 100 percent cotton cover and an 80 percent down/20 percent feather filling blend. The cover is designed so that feathers can’t poke through, preventing discomfort. This hypoallergenic pillow is full of sanitized down to prevent allergic reactions and the filling is humanely sourced. The eLuxurySupply Extra Soft Pillow can be machine washed and dried. If you aren’t satisfied with the pillow for any reason, you can return it within 30 days for a full refund. The Pancake Adjustable Layer Pillow uses six stackable layers in its design. You can add or remove layers to create the perfect level of firmness for you, though stomach sleepers will likely do best with fewer layers. The Pancake Pillow is full of down alternative, which makes it suitable for people with feather allergies. It uses a 100 percent cotton cover and has three zippered sides that make for easy adjusting. If you aren’t satisfied with the Pancake Pillow Adjustable Layer Pillow, you may return it within 30 days for a refund. Note that you will be responsible for shipping costs, however. 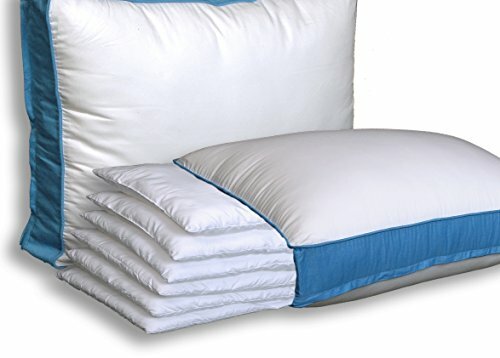 What Type of Pillow is Best for Stomach Sleeping? Stomach sleeping isn’t necessarily recommended by sleep professionals since it tends to put strain on your back. However, people who are truly dedicated stomach sleepers aren’t going to switch to another position and, if it works for you, it works. Selecting the right pillow can have a major positive impact on your stomach sleeping experience. Stomach sleepers should stay far away from thick pillows, as these will make their head rest well above the rest of their body, causing an unnatural spinal position. Generally speaking, a low-profile pillow will feel comfortable for most stomach sleepers. You’d also do well to consider the cover material on the pillow since your face will be resting on it. A cool, breathable, soft material will work best for stomach sleeping. May reduce snoring: Back sleepers are at the highest risk of snoring because in this position, your soft palate and tongue collapse and cause a vibrating noise while you sleep. Sleeping on your stomach leaves this pathway open and may help with snoring. Might help sleep apnea: People with sleep apnea are at a higher risk of their breathing stopping in their sleep if they rest on their back. When you’re on your side or stomach, your airways are clearer, which can provide a solution for this health condition. Might strain the spine: Depending on the mattress and pillow you use, sleeping on your stomach may flatten the curvature of your spine and lead to pain or tension over time. In order to prevent this, make sure you’re using the proper mattress for stomach sleeping and the right pillow, as well. Can lead to neck pain: If you sleep on your stomach with your head turned to the left or right, it can lead to neck strain. People who alternate sides or manage to sleep with their head straight should be in the clear, though. Potential sleep disruptions: Sleeping on your stomach can make it harder to get comfortable than sleeping in other positions. This is because stomach sleeping makes it hard to find a balanced posture that keeps your spine in a natural, neutral curve. Keep in mind that using the right pillow can help, though. As you can see, stomach sleeping isn’t the healthiest of positions out there. But when it comes down to it, you should sleep however is most comfortable for you. If you find stomach sleeping the most comfortable but tend to wake up with aches and pains, try placing a pillow under your pelvis. This can take some strain off your spine and help ease tension. You can also try doing regular stretching in the mornings after getting out of bed. The pillow you use has more of an impact than you might initially assume. It will impact your breathing, your spinal alignment, and how you feel when you wake up each morning. For stomach sleepers especially, choosing the right pillow is essential for your neck to rest in a healthy position. You’ll fall asleep faster: We’re all familiar with the frustration of trying to fall asleep and having no luck. If this is a nightly occurrence for you, it doesn’t take long until you feel chronically under-rested each day. With the right mattress and pillow, however, drifting off to sleep becomes much easier and this frustration can be eliminated. You’ll wake up better rested: Staying deeply asleep for long enough each night is crucial for waking up feeling great. Since quality sleep is necessary for focus, a healthy mental outlook, and clear thinking, this is worth paying close attention to. Using the wrong pillow will lead to an unnatural posture for your neck and back, which can result in tossing and turning, night after night. With the right pillow, you’ll be likelier to stay asleep at night and wake up better rested. You’ll relieve pain and tension: Sleeping with your neck or back in the wrong position can cause serious strain on your body. If you tend to wake up feeling sore or stiff, switching to the right pillow for you can completely transform your sleeping experience. You might even find that it completely gets rid of your pain. Your lumbar area needs special consideration if you’re a stomach sleeper. If you aren’t careful, your pelvis will sink too far into your mattress and cause pressure on the nerves, muscles, and discs in your back. This can be eliminated by using a pillow under your hips or sleeping on a firm mattress. A mattress that’s too soft won’t support your hips enough in the stomach sleeping position and you won’t get quality rest, even with a great pillow. As a stomach sleeper, you should select either a low-profile or adjustable pillow. Most ordinary pillows won’t be thin enough to promote spinal alignment in the stomach sleeping position. A thin pillow allows your head to rest level with your body, keeping your neck and spine in a neutral position. Adjustable pillows can be customized and allow you to find the perfect height or firmness. If you don’t have any luck with either type of pillow, you might also consider sleeping without a pillow, as an experiment. How much can you expect to pay for a high-quality pillow for stomach sleepers? A long-lasting pillow should cost between $25 and $150. Synthetic down is one of the most affordable options, while memory foam tends to cost more. However, within every pillow type, there’s a wide range of prices available and it really depends on the brand you select. Before you choose a pillow, look into the sleep trial and warranty offered by the manufacturer (if applicable). Selecting the right pillow for you is essential for your sleep health overall, so it’s worth it to make sure all your bases are covered before you invest. Seven days should be enough time to tell whether a pillow is the right option for you or not. Memory foam is a conforming, pressure-relieving material that was once extremely expensive and has since become more affordable. People who suffer from pain or tension in the neck may benefit from this material, as it takes the pressure off your body and allows you to fully relax. Shredded memory foam is made from smaller pieces of memory foam instead of one solid piece, like traditional memory foam pillows. By shredding the foam, manufacturers create a more malleable pillow and these products often allow you to add or remove fill, for a customized firmness level. Latex is a bouncy, responsive material that can come from either natural or synthetic material. It sleeps very cool and provides a breathable surface for your head. Instead of providing cradling sinkage like memory foam does, your head will rest more on top of a latex pillow. Synthetic down is a material that mimics real down and has a plush, soft feel. If you have a feather allergy or just want a pillow that feels like down but costs less, synthetic down might be a good option for you. Down is the soft, plush feathers found closest to a bird’s body and is typically sourced from ducks or geese. It’s a luxurious, malleable pillow filling that is breathable and comfortable. Stomach sleepers may especially appreciate down, as it isn’t too firm and provides a soft sleep surface. Feather pillows typically have a mix of feathers and down and create a durable, springy sleep surface. Like down, feathers create a neutral sleep temperature and a plush, comfortable pillow. Buckwheat pillows use buckwheat hulls, which creates a soft filling that provides conforming support. 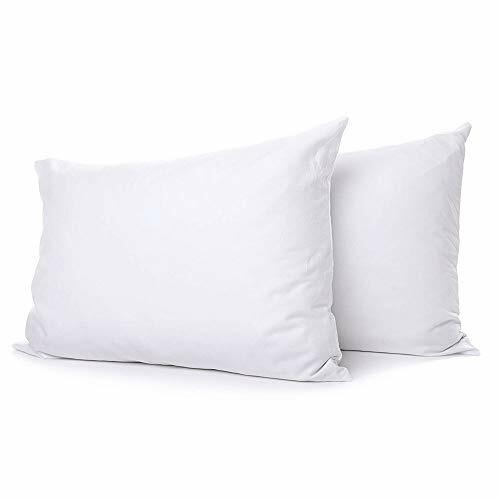 Buckwheat pillows are often organic without any chemical additives and are a good option for people who are concerned about environmental sustainability. Q: Should I use a pillow protector with my pillow? A: In order to help your pillow last as long as possible, you can use a zippered pillow protector (which goes on under the case). This will help keep allergens away and also protect your pillow from body and hair oils, which can soak into the pillow and make it degrade faster. Q: How often should I wash my pillows? A: Even if you use pillow protectors, you should wash your pillows at least once every six months. Pillow covers, on the other hand, should be washed at least once a month. In order to find out whether your pillows are washing machine safe, check the label. If your pillows are dryer-safe, dry them on low heat and make sure they’re completely dry before using them again to prevent mold or mildew. Q: How often should I fluff my pillows? A: As fluffy as your pillows might be initially, it’s inevitable that they will lose some of that when you use them regularly. How often you should fluff your pillows depends on the type of pillow and your personal preference. You can fluff them every day, if needed. Just give them a few karate chops and flip them over and they should be revived. Q: How can I tell when it’s time to replace my pillow? A: Depending on the type of pillow you select, a pillow can last for years. As long as you wash it on a regular basis and use covers and pillow protectors, your pillow can provide you with comfortable sleep for a long time. The best way to tell that you need to replace your pillow is when it starts looking or feeling flat. If you wake up feeling sore or tense, this is another indicator that it’s time to replace your pillow. Stomach sleepers should opt for a soft or low-profile pillow that allows their head to rest in alignment with the rest of their body. 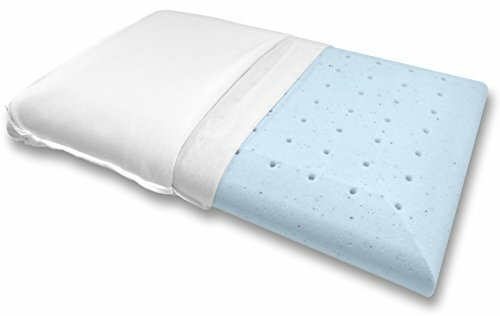 We think the Elite Rest Ultra Slim Sleeper Memory Foam Pillow is the best option for that. Remember to give yourself at least a week with a new pillow to decide whether it’s a good option for you.